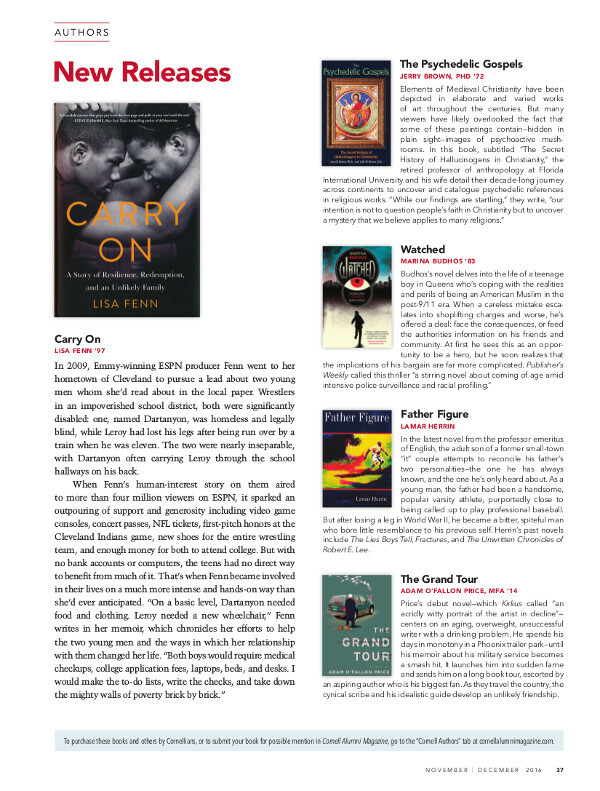 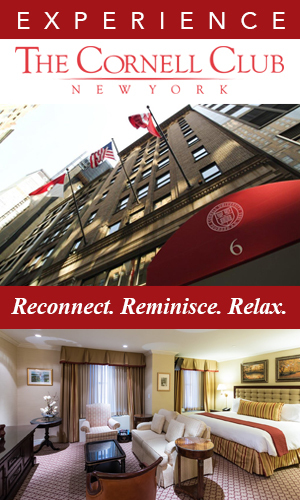 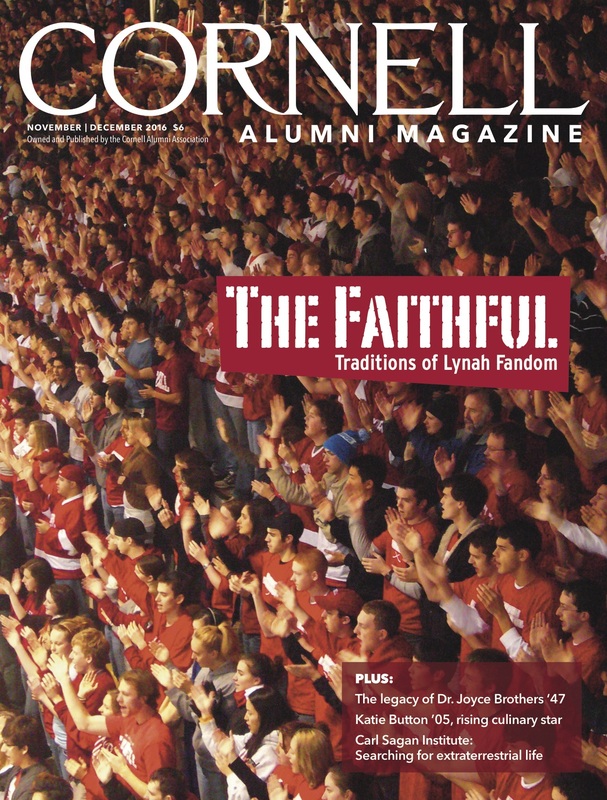 Traditions of Lynah Fandom, the legacy of Dr. Joyce Brothers ’47, Katie Button ’05, rising culinary star, and the Carl Sagan Institute. 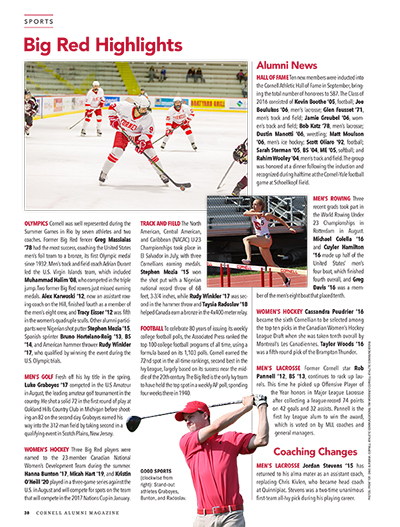 The Lynah Faithful, and the weird and wonderful traditions of Big Red men’s hockey fandom. 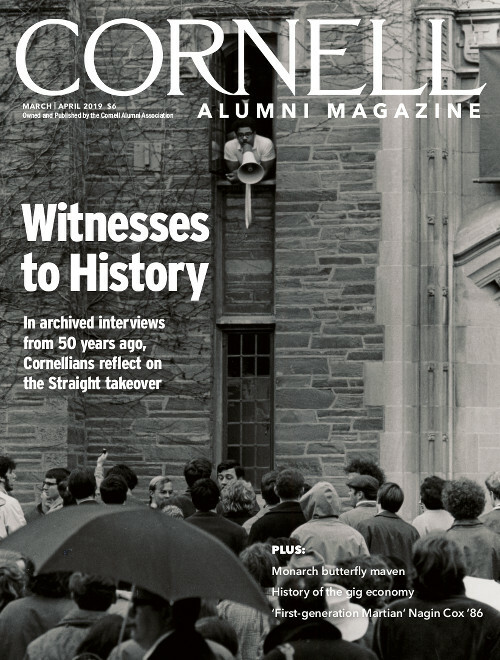 With a new biography and a Cornell archive, Dr. Joyce Brothers ’47 lives on. 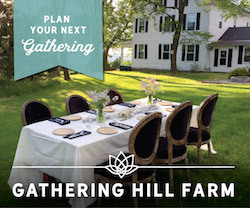 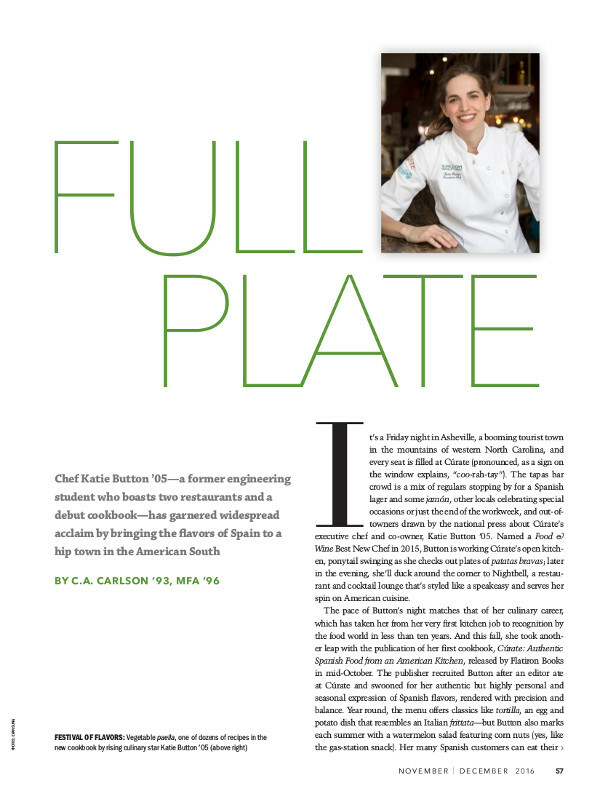 Chef Katie Button ’05 has garnered widespread acclaim by bringing the flavors of Spain to a hip town in the American South. 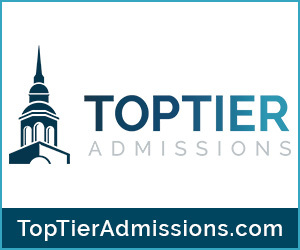 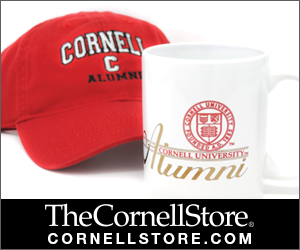 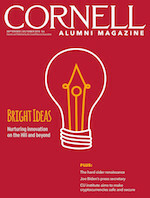 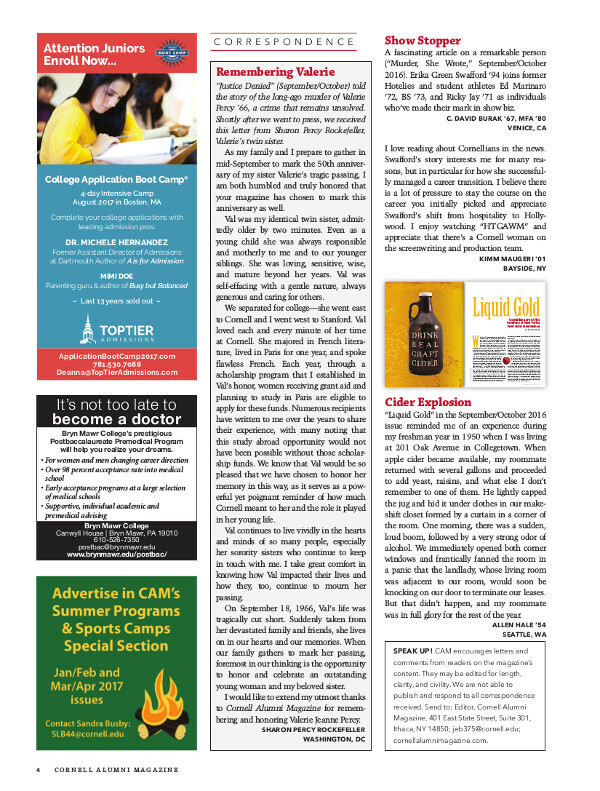 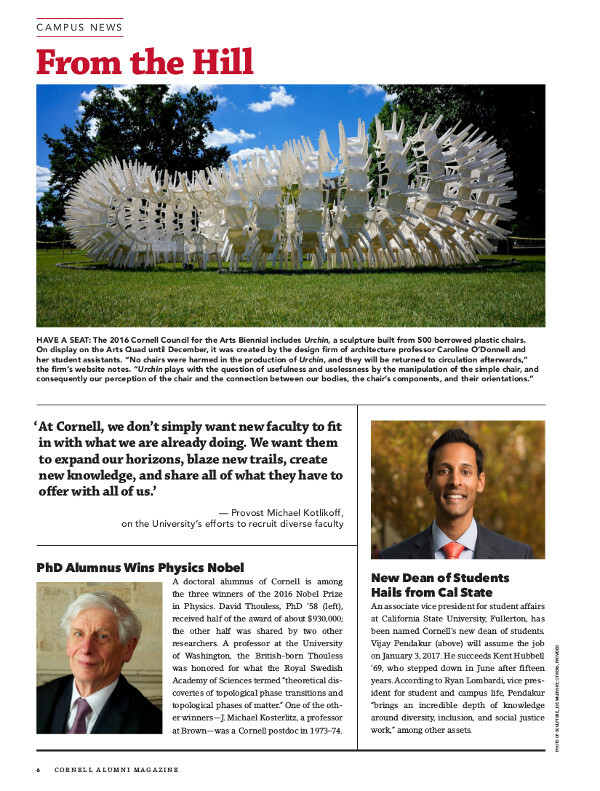 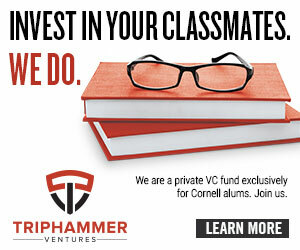 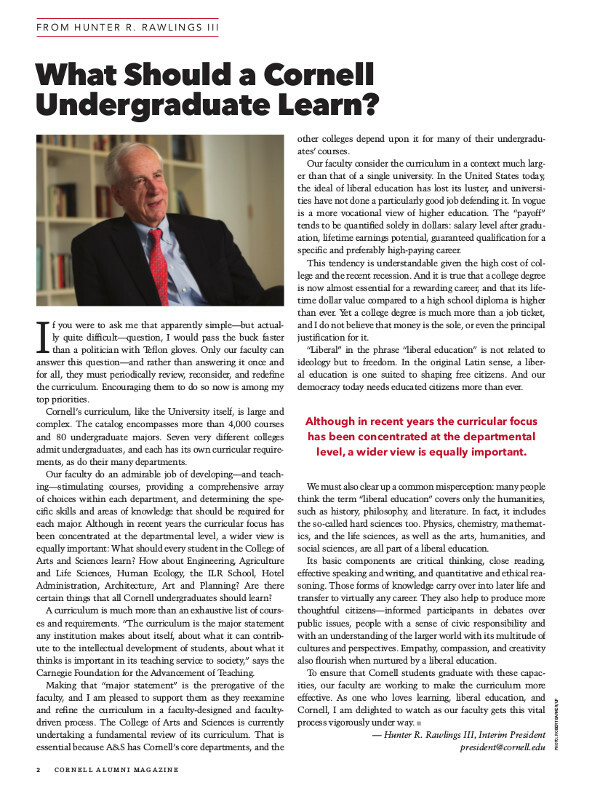 What Should a Cornell Undergraduate Learn? 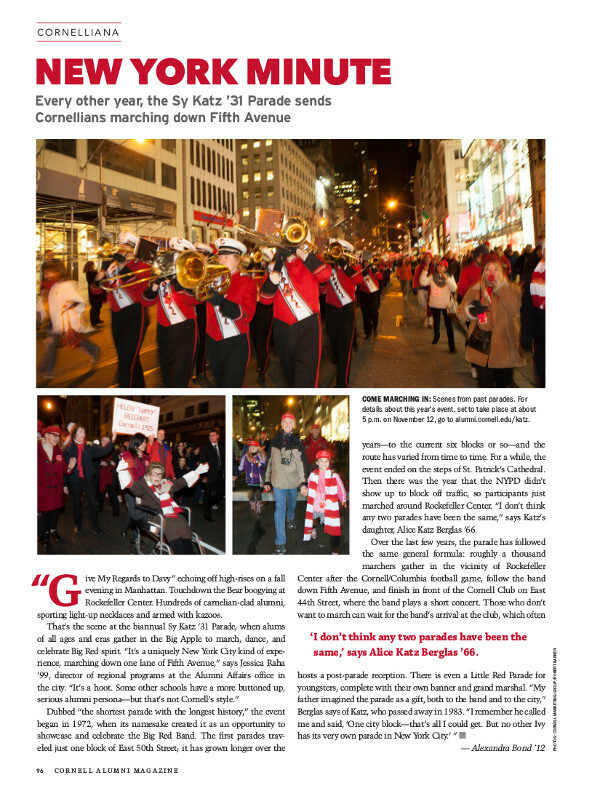 New York Minute: every other year, the Sy Katz ’31 parade sends Cornellians marching down Fifth Avenue. 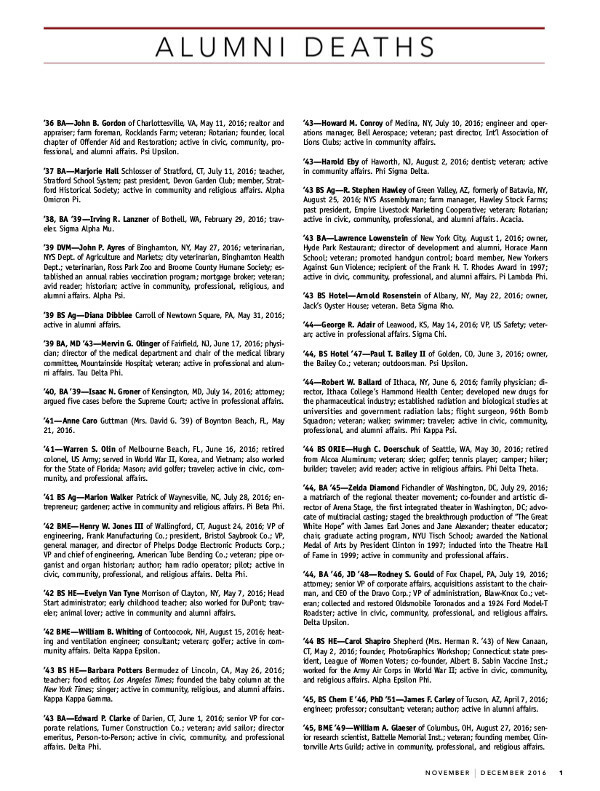 Obituaries received through September 2016. 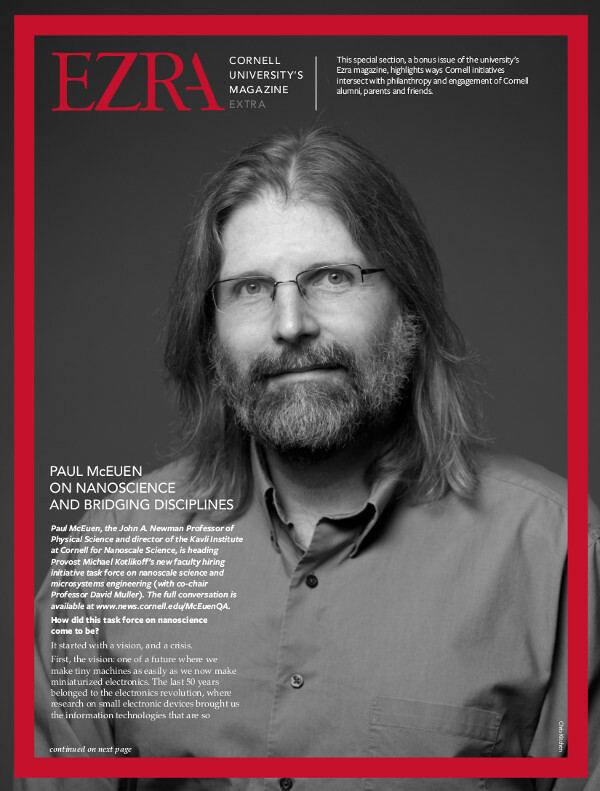 Paul McEuen on nanoscience and bridging disciplines. 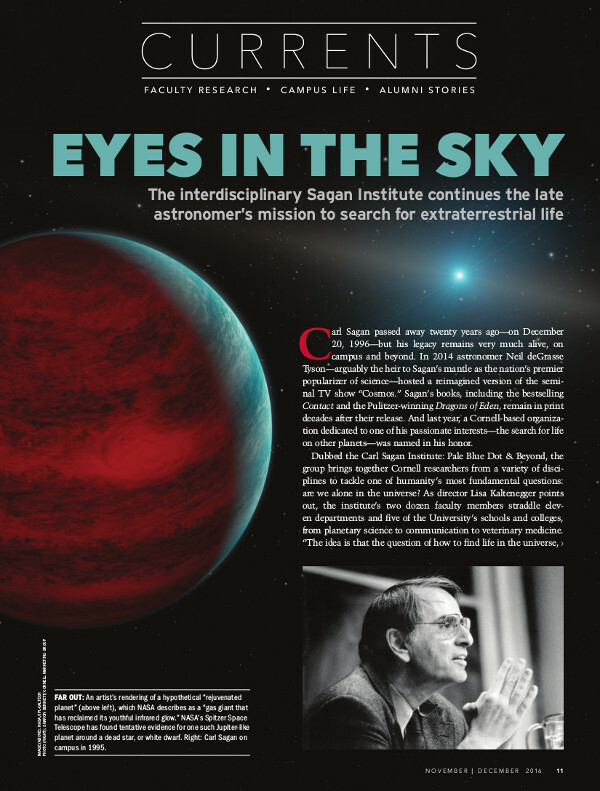 The interdisciplinary Sagan Institute continues the late astronomer’s mission to search for extraterrestrial life. 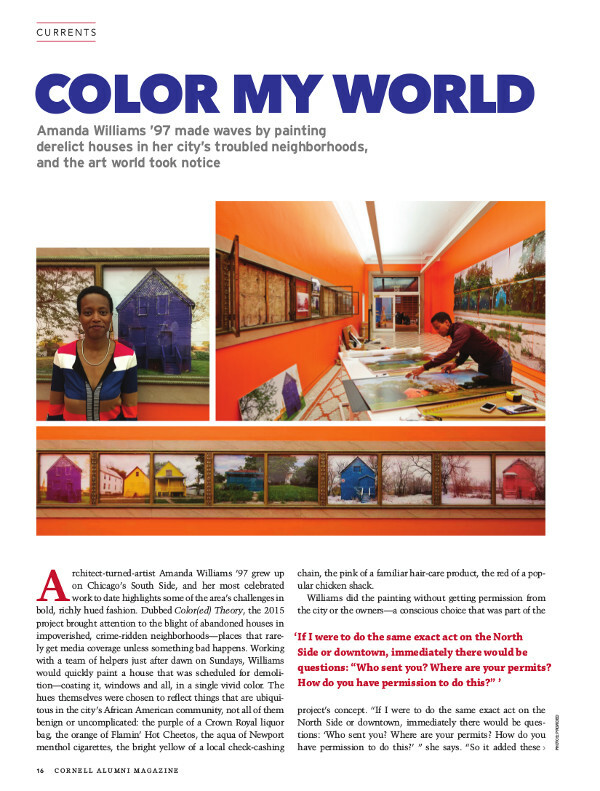 Amanda Williams ’97 made waves by painting derelict houses in her city’s troubled neighborhoods, and the art world took notice. 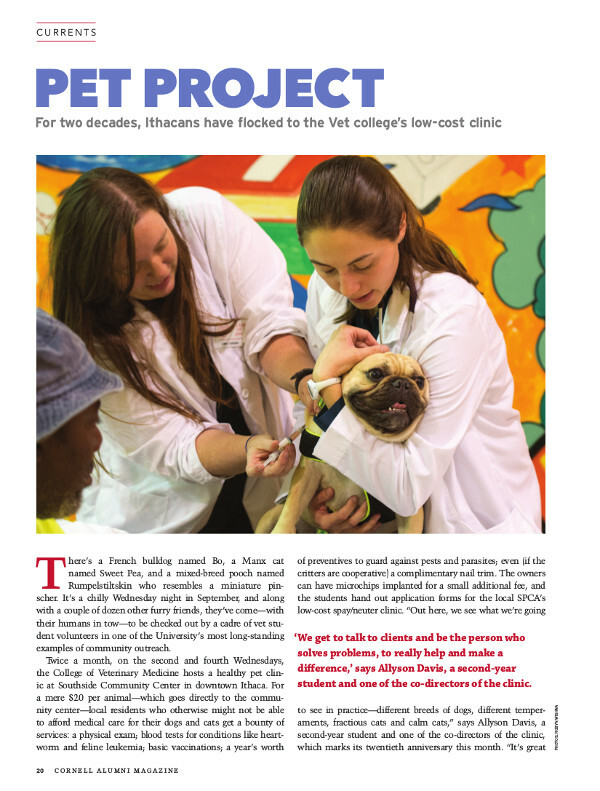 For two decades, Ithacans have flocked to the Vet college’s low-cost clinic. 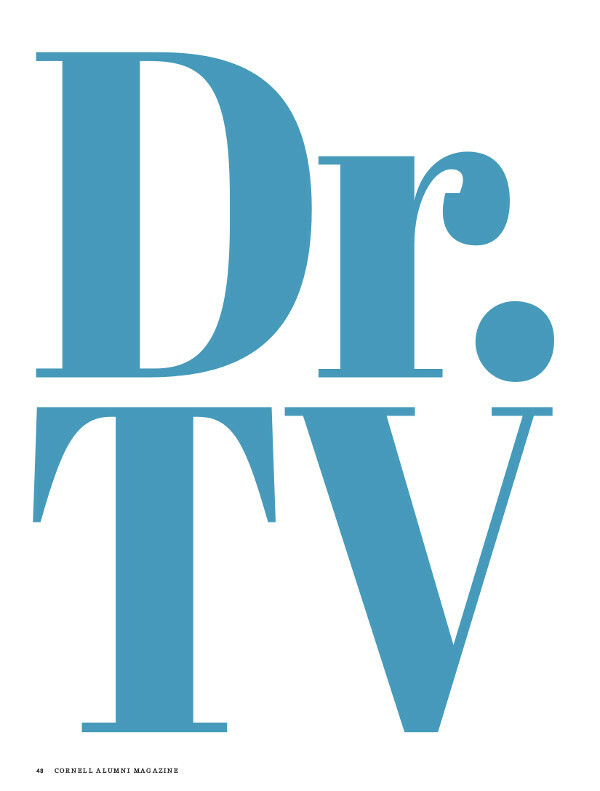 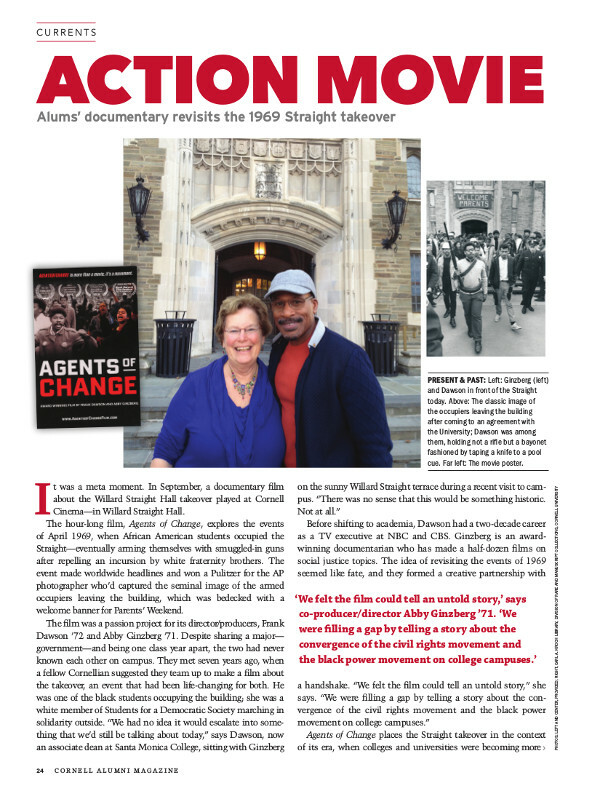 Alums’ documentary revisits the 1969 Straight takeover. 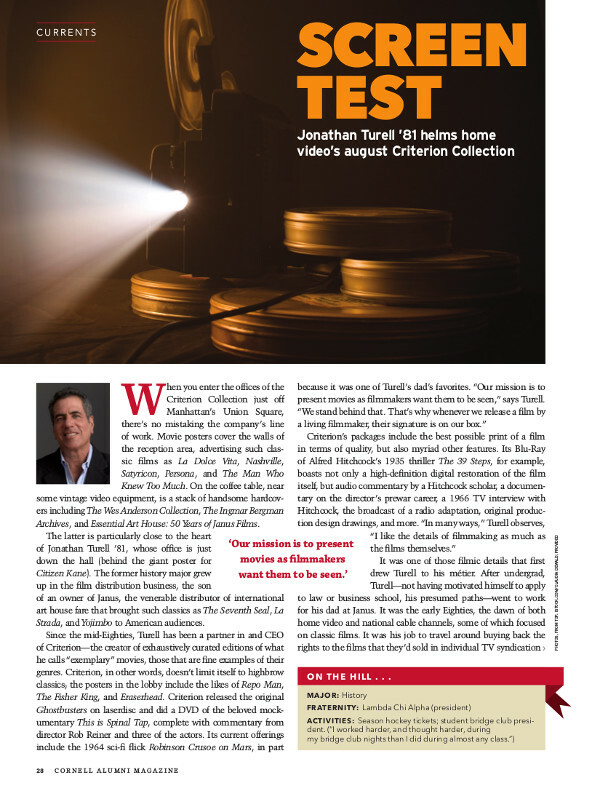 Jonathan Turell ’81 helms home video’s august Criterion Collection.